"You won't have days and days of rain. It'll be gone in about a day"
NBC 6's Darryl Forges spoke with crew members who just arrived home after helping with Hurricane Florence before heading to North Florida now. A classic October storm, Hurricane Michael is quite the contrast to September's Florence. Michael is likely to be stronger, windier and fast-moving when it reaches the Florida Panhandle sometime Wednesday. And the water problem along the coast is more likely to be from storm surge, not rainfall. "You won't have days and days of rain. It'll be gone in about a day," University of Miami hurricane researcher Brian McNoldy said Tuesday. 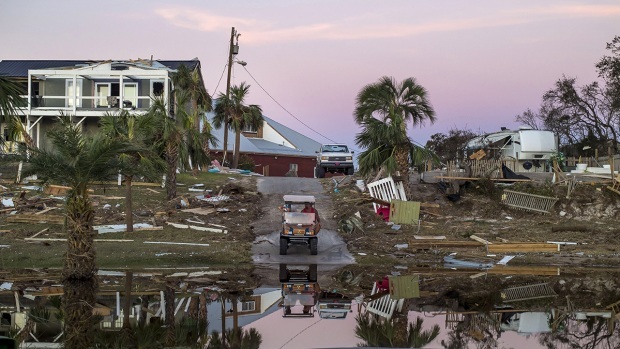 Warm water is the fuel of hurricanes, and it is now about 2 degrees (about 1 degree Celsius) warmer than normal in the part of the Gulf of Mexico where Michael was Tuesday, McNoldy said. He said that's like giving a car premium gas instead of regular. Right before the storm makes landfall, the water it goes over will be 4 to 5 degrees (2.2 to 2.8 degrees Celsius) warmer than normal giving Michael "just an extra kick," he said. Because of the warmer water, computer simulations predict Michael's central pressure will plunge just before making landfall, which is a sign of intensification, said Weather Underground's Jeff Masters. But there may not be enough time for wind speeds to really pick up before coming ashore. "We expect Michael to intensify right up to landfall," he said. "It's going to be interrupted by landfall — otherwise it would have gotten stronger." Michael formed from a large, sloppy area of low pressure in the western Caribbean and headed north. Strong storms earlier in the season usually form off the coast of West Africa, then chug west toward the Caribbean and the U.S. East Coast. 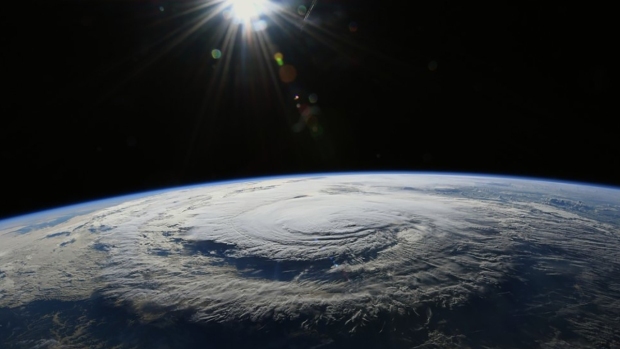 The Atlantic hurricane season extends from June 1 through Nov. 30. While the season peaks in August and September, big storms in October are not uncommon. Michael only became the season's 13th named storm on Sunday. Nadine became the 14th named storm on Tuesday. An average season has about a dozen named storms. The National Hurricane Center forecasts Michael to hit the center part of the Florida Panhandle as a major hurricane. While weaker storms have hit that area, major hurricanes with winds greater than 110 mph don't do it very often, McNoldy said. Only three major hurricanes have hit the Panama City area and none since 1895, according to McNoldy. And only seven major hurricanes have hit within 100 miles (160 kilometers). Looking at the broader Panhandle area, Masters sees plenty of major hurricanes that might be good parallels. He points to 2005's Dennis which hit Santa Rosa Beach and 1995's Hurricane Opal that made landfall in Pensacola. Experts worry the most about Michael's storm surge — forecast at 10 to 12 feet (3 meters). Storm surges aren't walls of water, like a tsunami. They're a rise in the sea level caused by a hurricane's winds relentlessly pushing water on shore. The high water has destructive waves on top, and it comes in addition to normal tides. The Gulf Coast gets bigger storm surges because the water is shallow just offshore, so it can pile up. And the Big Bend area of Florida is notorious for high storm surge because of its curved shape. Dennis hit 170 miles (275 kilometers) to the west yet the Big Bend area had higher storm surge. Hurricane forecasters haven't had many problems figuring out Michael's path in the Gulf of Mexico. The major computer models quickly converged on a similar track early on, McNoldy said. "This thing has been so predictable it's crazy," he said. "This is as well behaved as storms get. It doesn't make landfall any better, but at least you know what to expect and when to expect it."